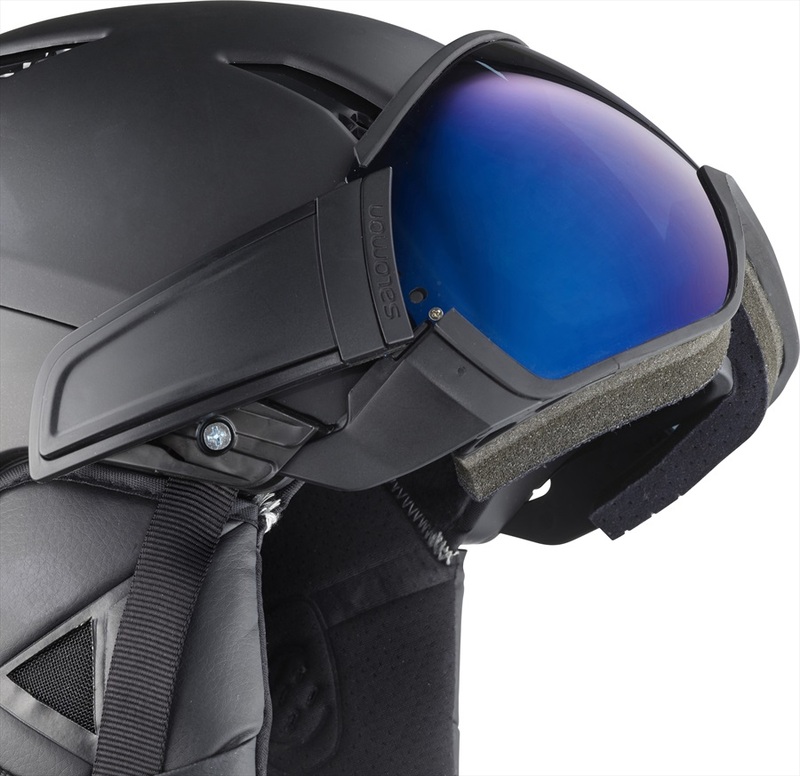 Salomon's integrated visor helmets takes sports performance, style, comfort and convenience to a different plane. 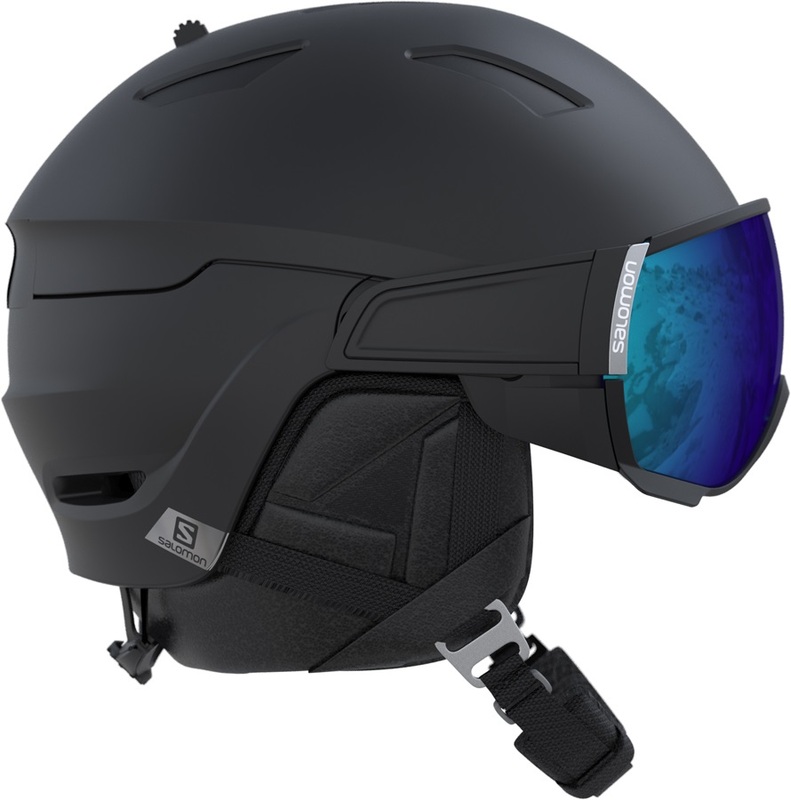 The Salomon Driver ski/snowboard helmet offers Salomon's most advanced helmet and goggles technology in one great looking integrated visor helmet, perfect for maximum convenience and style, and for those that wear glasses, without compromise. The Driver also features a whole host of Salomon's top-line features including the Custom Dial Fit fitting system. The Driver features a unique Motion Shield System visor for maximum convenience and style, particularly suited to those who want to keep their glasses on at all times. The Flash Blue lens is a good all-rounder for brighter conditions and there is a Tonic Orange extra lens for low light. The visor incorporates Salomon's quick and easy, tool-free lens changing system. 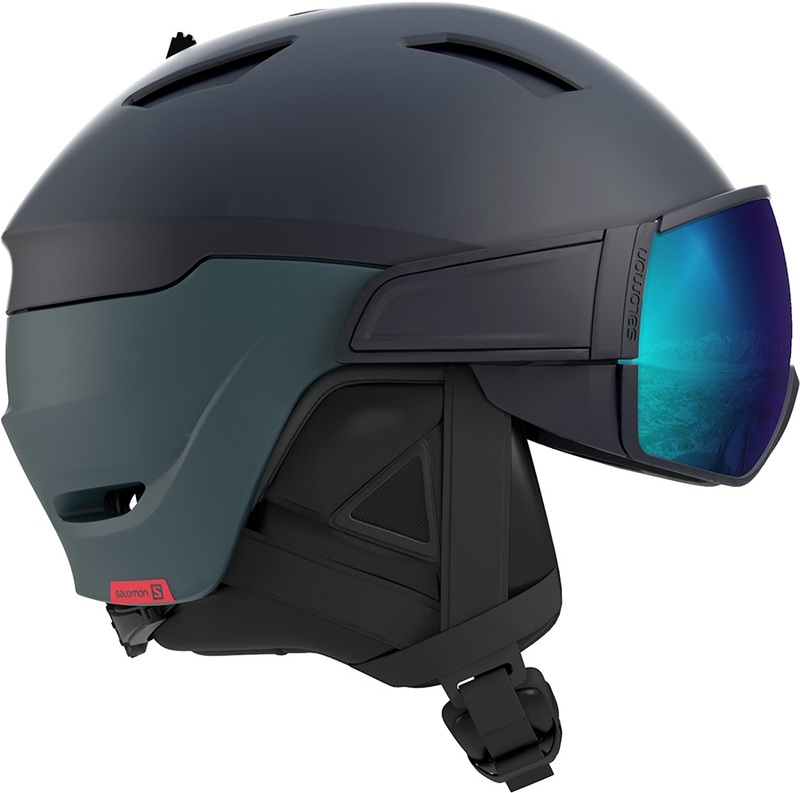 The helmet is constructed using Salomon's Half Shell Hybrid construction which combines an In-Mold shell with Salomon's new EPS 4D liner, which absorbs and disperses both vertical and oblique impact, offering improved protection from glancing impacts as well as the straight impact protection of traditional helmets. 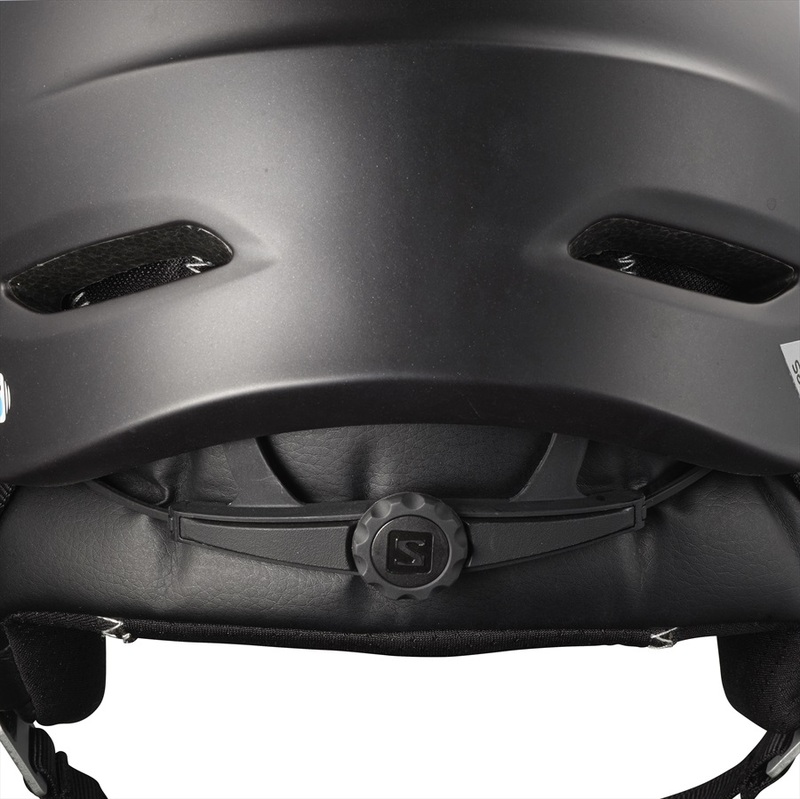 It also features the Custom Dial Fit system, which incorporates a precise dial to ensure that you get the perfect fit every time, in terms of both protection and comfort, regardless of your head shape. 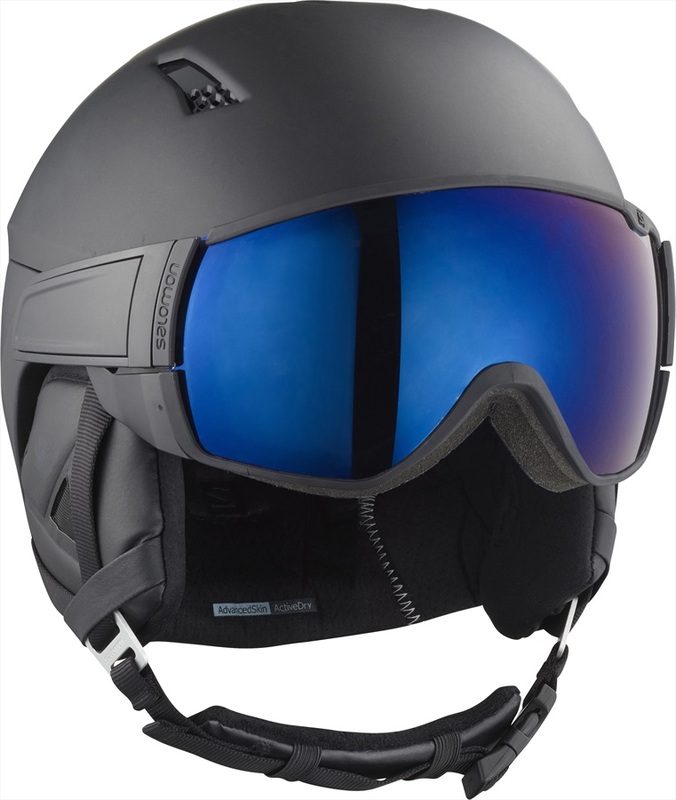 The Driver features unrivalled climate control, with Salomon's TCS (Thermo Control System) and Twin Shell Ventilation providing you the means to regulate your temperature from deep mid-winter days to warm spring riding. The removable and washable AdvancedSkin ActiveDry merino wool liner also works to regulate your temperature regardless of your activity level. 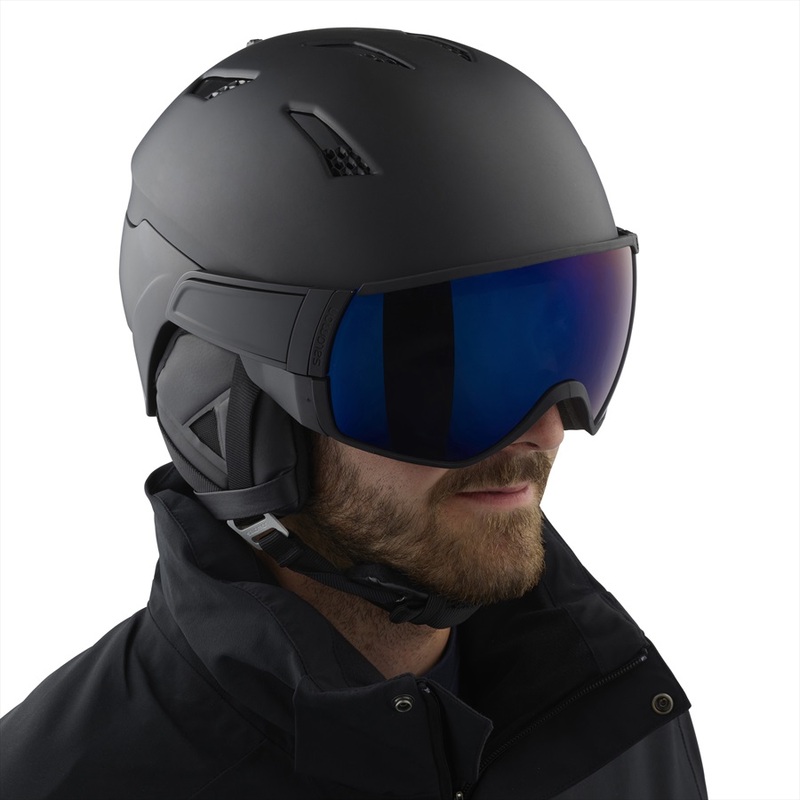 Functioning as effectively as Salomon's top-end individual helmets and goggles, the progressive Driver offers the convenience and style of an integrated visor helmet as well.